Washing machines are a god sent blessing to Indian housewife. It is one of the best home appliances invented till date. Maids now charge over Rs 1000 a month for washing clothes for a family of 4. So, it is better to invest in a good heavy-duty washing machine as it will pay for itself in a couple of years!! No more dependency or unnecessary chores! But, which washing machine should you buy? Front load washing machine? Top Load? Fully automatic or semi-automatic? Yes, that can be tricky as there are so many types of washing machines in India. Don’t worry, this Best Automatic Washing Machine Buyer’s Guide will help you make the right choice. If you want the best wash quality go for this front loading washing machine. If you’re on a budget, go for this top loading washing machine. Wash quality will be less but you can soak clothes overnight and then run machine for better results. If you have a budget of less than 7000, then only consider this semi automatic washing machine. We highly recommend that you spend time and read the entire buying guide. It will help you make an informed and wise choice. So, first let us understand the types of washing machines in India. Fully automatic front loading washing machines is the best and most advanced type of washing machine. They have a transparent door lid on the front side. A horizontal tub which uses a tumbling action system for cleaning clothes. This cleans clothes much better than a top loading washing machine. It consumes less water, detergent and electricity. Front loading washing machine models come with built-in water heaters. Benefit of this is that you can get clothes washed in hot water. This becomes extra useful when you have a baby in the house. It comes with the highest number of wash programs. You can choose the delicate clothes setting, or woolens setting as per the kind of clothes you want to wash. The benefit of this is that your clothes last longer. It comes with variable spin speeds for suiting the material of the clothes to dry quickly. The price is not economical as compared to other machines. Water pressure must be adequate to run it. This should not be a problem if you live in an apartment. If you have a stand-alone bungalow then you should check water pressure before buying. Wash cycle is much longer. This ensures that the clothes are washed well. You can choose the quick settings if you are in a hurry. In Short: Front loading washing machines have best wash quality and come with inbuilt water heater. They are expensive because they are the best. This kind of washing machine allows you to put clothes from the lid on the top. It uses only one compartment for both drying and washing. It is cheaper than front loading washing machines. Cost of running this machine is around Rs 5 per cycle. Ease of loading clothes on top. No need to bend. No requirement of transferring the clothes like in a semi-automatic one. It uses impeller systems or agitator system technology to wash clothes. Agitator system means it has one big plastic rod coming up in the middle of the tub. This rod takes up space and reduces the number of clothes you can put in the machine. So, go for one with impeller system so that you can add more clothes in one wash cycle. The fully automatic top load washing machine is cheaper. They are more mobile and lighter in weight. It takes less than Rs 5 worth of electricity to run one cycle. If you run the machine every alternate day it will cost you just Rs 75 per month to use this machine. Wash quality is slightly less than that of fully automatic top load washing machine. However, it is better than that of the semi-automatic washing machines. No manual intervention is required by these machines. Too much water is consumed by this machine. In Short: These are good washing machines and available in price Rs 8000 to Rs 15000. Wash quality is not as good as compared to front load. In a semi-automatic washing machine there are two compartments. One compartment is for drying while the other compartment is for washing. The amount of energy and water is consumed by this machine is less. Wash cycle is also short. Semi-automatic machines are very cheap. You can get one for Rs 5000 to Rs 10000. Continuous supply of water is not required. You can manually pour the water in it. Manual transfer is required from one compartment to another.This process is quite tiring. This type of washing machines are available only in top-loading type. For transferring the clothes from washer to dryer, you have to manually do it. Else the clothes will not dry. Lots of space is required as it is quite big in size. Many controls of this machine are manual. Important: From the above discussion you can decide which kind of washing machine to go for. If you have a budget of above Rs 25,000 then you can go for front loading washing machine. If your budget is between Rs 20,000 to Rs 10,000 you can get a good top loading washing machine. Function type means whether it is a fully automatic or semi-automatic washing machine. It should be clear from the discussion we already had above. Semi-automatic washing machine: A semi-automatic machine is bigger in size. It has a separate dryer and washer. This machine involves some manual work. You can go for a semi-automatic washing machine only if you don’t mind moving the clothes from washer tub to the dryer tub. Or if you live in an area where water supply is erratic. These types of machines don’t need direct water supply. Fully-automatic washing machine: A fully automatic washing machine just needs you to load the clothes and put detergent in the slot. After that, you don’t need to do anything till the washing is complete. After that, all you need to do is hang the clothes to dry. Go for semi automatic only if you have a budget less than Rs 7,000. This is the most economical washing machine in India. Else go for a fully automatic one. Write that down on a paper. Next you need to decide the load type. Front load or top load. Based on the loading type there are two types of washing machines. Top loading washing machine: If you’re short on budget then go for this kind. You can get a good and cheap washing machine ranging from Rs. 7000 to Rs 15,000. This is also economy type washing machine. Top loading washing machines allow you to add clothes without bending down. If you have old parents who will be operating the washing machine – then go for top load washing machine. This is good for small families on a budget and bachelors living together. The wash quality is little less than front loading machines. Tip: If you are short on budget, get a top loading washing machine. Soak your clothes overnight and then wash to get cleaner clothes. Front loading washing machine: Front loading washing machines take better care of your clothes and wash them better. They use lesser water and electricity. You can choose from many special wash programs like baby care, delicate wash and wool wash.
Also, they make less noise. Large families with kids should go for front loading as children tend to dirty clothes a lot. The only drawback is that they are expensive. Go for top load automatic machine if you have a budget 10,000 to 15,000. This is the preferred washing machine in India. Have a bigger budget? Go for a front load washing machine. Write that down on a paper. Load capacity means the amount of clothes you can fit into your washing machine. It is measured in kgs. If you have a small family of 3 to 4 members, then you can go for a lesser load capacity. A good washing machine of 6 to 6.5 kgs is more than enough. Large families or joint families can go for a higher load capacity washing machine. You can look for a washing machine of 7, 7.5 or 8 kg load capacity. Washing frequency is another thing to consider when deciding load capacity. Smaller load capacity is good for families who don’t mind washing clothes everyday. If you have parents who have the habit of washing clothes everyday, then go for a small load capacity washing machine. If you have a large family and wash clothes only a couple of times a week – you can go for a large load capacity washing machine. Previously, in old motors they would run a fixed load. So even if you had less number of clothes to wash – it would still use the maximum electricity. So, there was a high wastage of electricity and money. Inverter Technology allows the motor of your machines to run at a speed that is required for that load. It has a special circuit which determines the load. So, if one day your machine is full, it will use more power. If one day your load is less – it will use less power. In old design of motors, there are movable parts like gears and belts. When these parts move there is a lot of friction. This affects efficiency and life of the motor. Direct Drive Technology has removed the use of all these movable parts. You get zero friction, higher efficiency, less wastage of electricity and long life of motor. This is why brands give 10 year warranty on Direct Drive Drum washing machines. Because they never get spoiled. Tip: Direct Drive combined with inverter technology is best for saving technology. We all know soaking helps to remove dirt easily. Even if you soak clothes overnight in a bucket they get washed super cleaned the next day. Same with soaking technologies. We pay for them because of the convenience they give us. BubbleSoak Technology: Samsung washing machines are using this to make the detergent into bubbles and soaking your clothes in it. All this just by pressing a button. SuperSoak Technology: Whirlpool has come with similar tech and named it SuperSoak. This feature makes the machine pre soak and scrub the clothes before running wash cycle. Now once, clothes are soaked we can look at wash technologies. Washing in cold water is common in India. It saves on electricity bill as well. For this now companies have come with Bubble Wash Feature. This technology makes the detergent into bubbles inside the machine. These bubbles can easily go into the dirty clothes and remove tough stains and dirt. EcoBubble Technology: Samsung has come with EcoBubble which makes the detergent into bubbles. These bubbles move around the clothes and deep penetrate dirty clothes to give more clean wash.
O2 Wash: IFB has same bubble wash tech and has named it O2 Wash.
Cotton cloths, woolen sweaters, heavy blankets, and delicate under garments – all these need different wash. Synthetic garments get clean sooner than cotton cloths. So, now washing machine manufacturers in India are trying to give maximum benefit using different wave motion and cleaning technology. 6-Motion DD Technology: LG has introduced 6 Wash Motion Technology. It has different washing motions like Tumble, Stepping, Scrubbing, Swing, Rolling, and Filtration as shown in image below. This is only available in it’s premium washing machine models. SoftMove Technology: Whirlpool has come with SoftMove technology that allows the machine to sense the load inside the drum. It then uses the required wash program based on the type of clothes you have put in. Energetic Wash, Soft Cradle (For Delicates), Power Shower, and Slow Motion Technology are some of the wash tech it will choose from. Air Bubble Wash : IFB too has come with new wash technologies. New wash styles like 3D Wash, Aqua Spa, Air Bubble Wash, 3600 wash, Steam wash, and O2 wash are present in its models. So, hope all the technology and marketing terms for each of them is clear. Instead of being confused by a salesman, you can now make a confident decision and get the best deal online for washing machines for yourself. Water pressure of 1 bar is required by front load washing machines which most Indian houses have. The water supply tank should be at least 16.5 feet height from where the washing machine is placed. This is always the case in apartments as water tank is located on the terrace. Only if you have a standalone bungalow, should you check this water pressure requirement – else you need not worry about it. In India we mostly have hard water everywhere. The problem with hard water is that it doesn’t dissolve the detergents properly. Because of this you will get deposits of lime and salt around the drum. Your pipes get clogged and chocked. It directly affects the life of washing machine. How to deal with Hard Water in Washing Machines? Before, you had no choice. Just buy any good washing machine and then use a hard water softener or just use hot water. But now, brands are coming up with washing machines for hard water in India. Whirlpool has a dedicated ‘Hard Water’ feature in its latest semi-automatic machine. This option allows eliminating dirt from the clothes even when the water is hard. IFB machines come with a unique Aqua Energie technology. This converts hard water to soft water. These models have Aqua filter that break down the salt in the hard water. Besides the above features, here are some good to have features in your washing machine. Auto Select or Fuzzy Logic: Some washing machines have auto selection feature that allows them to determine the weight of laundry. This helps machine to calculate amount of water, detergent, wash program etc required. This is a good to have feature but not necessary. Delay Start: Using the delay start feature you can load your machine and set it to start after a determined time. So, you can delay it for 3 hours, 6 hours or 9 hours. Some machines allow you to delay for over 24 hours. This is good for working couples who don’t get time or forget laundry chores. You can load machine at night, set delay for 6 hours and in the morning you get washed clothes. Hang to dry and rush to office!! Again, this is a good to have feature – not necessary. Child Lock: Children love to push and press the buttons on washing machine panels. After loading and starting your machine you can press the child lock button. Now, even if your child presses stop or any other button – the machine will continue to run. Digital Display: Digital display panel shows the time that is left for the cycle to complete. The panel also consists of all the wash modes and buttons. The old washing machine models had a non digital display through which moisture could get in and spoil the panel. It is a good to have feature that should save on after sales costs. Water Heaters: All front loading washing machines come with built-in water heaters. This makes it much easier to wash clothes during winter. Children also dirty clothes a lot which get washed well in hot water. Whirlpool is the only brand that has water heaters in its top loading machines in India. Temperature Setting: You can set a custom temperature setting from cold up to 95° Celsius. It is quite beneficial for kids and elderly as it ensures thorough washing. Clothes get disinfected well in hot water. Only a few top loading machines come with in built water heater. Some of them have separate hot and cold water inlets that work to give the same function. Drum Sanitization: If you are concerned about the hygiene of the drum where your clothes are getting washed, go for a machine with drum sanitization feature. It uses a hot stream of water to remove all allergens and germs hiding in your machine. Samsung washing machines are coming with Eco Drum Cleaning technology for this purpose. Multiple Wash Programs: Some families don’t mind washing all kinds of clothes together. Some families ensure that bedsheets, clothes, hand towels and under garments are washed separately. The LG washing machine comes with many programs like Blanket wash, Delicate wash, Wool wash, Baby Care etc…The ways of washing clothes are different for each family. Some families wash bed sheets and bath towels in extremely hot water. Flexwash and TwinWash: If you are still unsure about front load and top load – then some machines come with both the features. Samsung and LG have introduced these 2-in-1 washing machines where you can both kind of loads in one machine. These machine are very costly over 1 Lac rupees. Though it will be a great experience to use this, money is quite high. These are the most well known and popular brands of washing machines in India. Bosch and Siemens are also good brands but they are mainly focused on front loading washing machine. IFB is beyond doubt one the best brands for both top load and front load washing machines. Godrej and Onida are among the best economical washing machine in india. Universal Size Adjustable Movable Stand/Trolley Suitable for Front/Top Load washing Machines, Refrigerators, dishwashers, coolers etc. 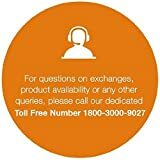 From All Top Brands Like LG, Samsung, IFB, Bosch, Haier, Whirlpool, Godrej, Panasonic, Onida, Intex, Seimens, BPL, Mitashi, Intex, Lloyd, Vestar etc. 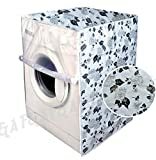 Cover Suitable for LG Top Load Washing Machine for 6.0 Kg, 6.2 Kg, 6.5 Kg, 7 Kg. Holes provided for inlet Pipe, Outlet pipe and Power Cord. Water Proof and Dust proof Cover. Zip provided, Just Open the Zip and use No need to remove the entire Cover while using the machine, Full Body Cover. This Cover will Perfectly Fit Front Panel Operating Top Load washing Machines Only. Suitable for top load all major brands ,Not suitable for IFB & BOSCH Top Loading Washing Machines. Transparent Cover for Panel, Holes provided for inlet Pipe, Outlet pipe and Power Cord. 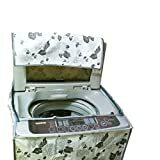 Classic Front Load Washing Machine Cover Suitable For 5Kg, 5.5Kg and 6Kg. Zips provided for opening and closing, No need to remove the whole cover while using the machine. Does not support 6Kg Bosch & Siemens and Dishwasher. Will fit 6.5Kg new models. Size of the cover SIZE 510 X 600 X 840 MM 20 X 24 X 34 Inches. Please Check Dimensions before placing the order. 100 % Metal Body. Load carrying capacity 140 kgs. # Low Cost / Low Electricity Consumption and Low Water Requirments. Placement of Washing Machine: In flat system – people put washing machine either on dry balcony or their normal balcony. Some people put in the spare or guest bathroom. Placing washing machine in bathroom is not good as the panel can absorb the extra moisture and will get spoilt. A new panel can cost upto Rs 1200 to 3000. When placing in balcony ensure that rain can’t fall on washing machine. Else always use a washing machine cover. Damage from rats and rodents: If you live in bungalow or govt accommodation kind of area, be very careful of rats and squirrels. They can get inside the washing machine from the open underneath space. You can buy a wire net and secure the lower part of your washing machine. For this you can buy a rat mesh for washing machine. Deep Cleaning: Do a deep cleaning once a month or once in two months. Remove the detergent tray and wash it thoroughly. Fabric conditioners can get accumulated on the top. The rubber cashing of the drum can get lots of mold or “kaaye” on it. Make sure you clean it regularly else it may cause rust. Scaling: After long use, washing machine can get build up of lime stone from the washing powder. Long term buildup causes foul smell, and can damage parts of your machine. To do scaling just, pour 1/3 cup of baking soda directly into the machine. Now put 2 cups of vinegar in the detergent tray. Run your machine for one short cycle. These two agents – baking soda (khaane wala soda) and vinegar will react and descale your washing machine.